First attempt at this very difficult object. Very low in South West, too muc hlight polution, limited exposures due to a Telegraph pole that crossed the field in front of my scope. 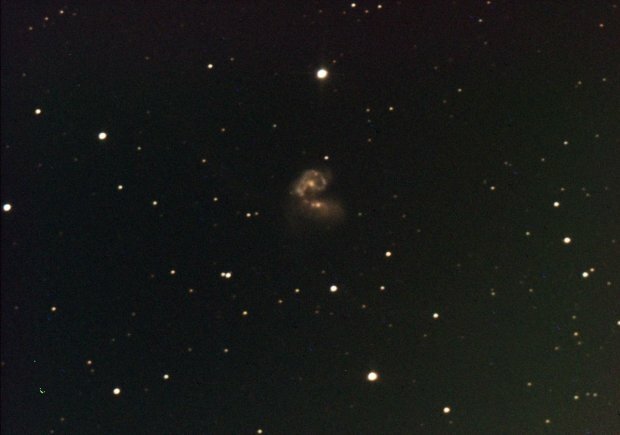 This is result of 10 x 2 minute exposures.